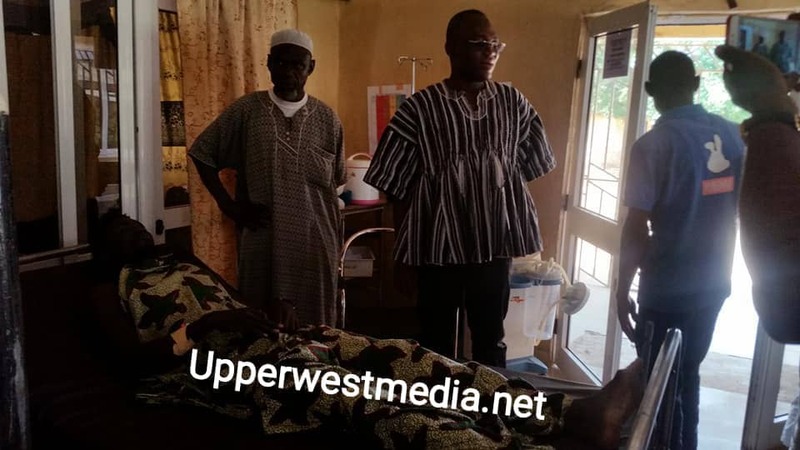 A day after the Ztown And Jamaica youth Clash, Municipal Chief Executive for Wa Central has paid a courtesy visit to the Victims of Cutlass wounds at the Upper West regional hospital. Mr. Issahaku Tahiru visited Mohammed Abdul and Malik Ahmed also Known as Abinchi with a few others as part of efforts to calm the issue of Rivalry amongst the two youth camps and to address the issue permanently. Two most popular groups in the Wa Municipality, the Ztown and Jamaican youth have clashed in a deadly fight leaving several people with severe injuries. According to eye witness, it all started about 8:30pm Friday evening when two Jamaican youth by name Malik Ahmed popularly known as (abinchi) and Mohammed Abdul were brutally assaulted on the Zongo lane very close to the camp of Ztown. The Case has been forwarded to the Regional Police Command for further investigations. Some of the culprits are currently in Police Custody preparing to appear before court. November 4, 2018 in LifeStyle, Local News.